Back to school is in full swing at my house! All FOUR of my kids are now going to school all day long. Yes, I am crying a little but also looking forward to this new chapter of my life. It actually feels pretty hectic getting everyone ready. 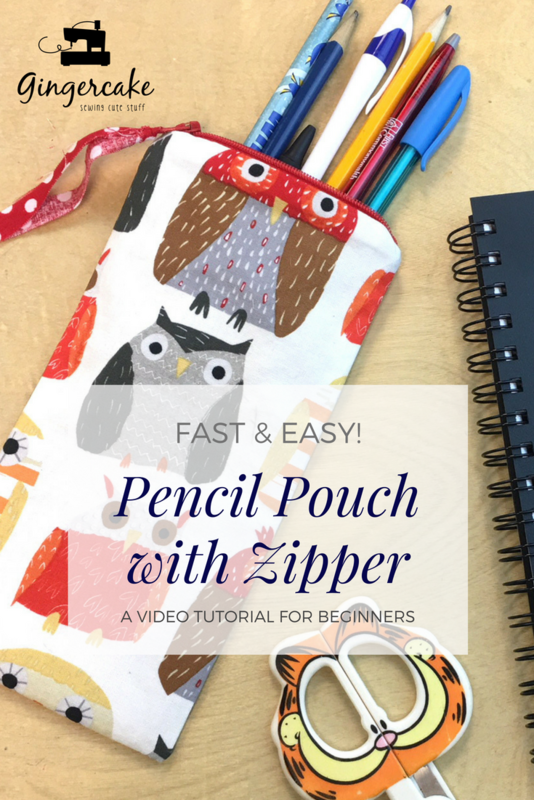 I took an afternoon last week to make some really cute and easy pencil pouches. 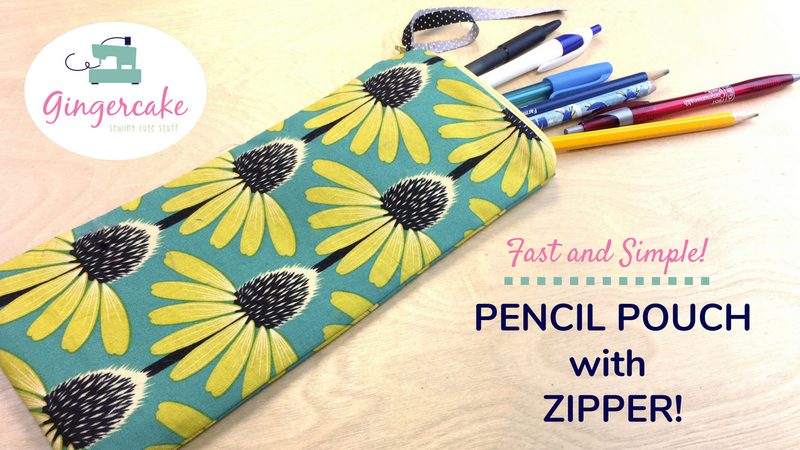 This pencil case DIY project is easy and great for beginners. Feel free to Pin the image below for later use if you don’t have time to make one now! You all my know by now that my favorite way to do tutorials is by video! I feel like I can really explain what is happening and this is great for beginner sewers. You experienced gals, just fast forward through the simple parts! You will need a 7” nylon zipper, 10” x 9.5” exterior fabric, 10” x 9.5” lining fabric, and 10” x 9.5” fusible interfacing. Let me know your thoughts about going back to school and how you like the look of this pencil case below! Thanks for a cute tutorial! Love that owl fabric! Looks so easy. I’m going to make some for the kids in Sunday school! Thank you! Thanks for the idea of putting the zipper on the short side of the zipper pouch. Great way to use all those 7-inch zippers that have been donated to me. I also like your idea about the little tie on the zipper. I do like to topstitch on each side of the zipper. I think it just makes it look a little more finished. Thanks for the great tutorial.
. A really useful project and great tutorial. Thank you for the pattern. So easy when we get a look at the video along with instructions. Thanks for your hard work!